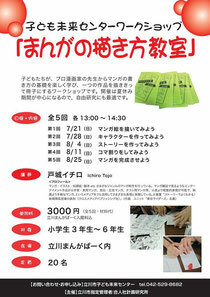 I`m going to tutor of workshop for elementary school kids during summer vacation. If you have kids or acquaintance`s kid,please introduce it,I`m happy. I `ll do enthusiastic summer.